2014 January » Embroidery Talk Has Moved! Need Something Special – Call Us! One of the hardest things for any company to do, I think, is find a balance between what they can do or offer and what they put on their website. It’s a rather delicate balance. Include too much and customers are made to wade through a labyrinth of pages before they find what they need. Include too little, and customers may bounce off the page because they think you don’t have the item for which they are searching. Too many categories and menu items can get confusing. Too few menu items or categories that are too broad will not highlight all the options your company can provide. Finding the tipping point is a matter of trial and error and that point will be different for every company. Today I want to discuss EnMart’s tipping point. When we were first constructing the website it became apparent that we couldn’t include every possible thing we might sell. The list was far too long and would have resulted in pages and pages of products. While we wanted to give a good representation of our product lines, we didn’t want to overwhelm anyone or make it too hard to find what was needed. So we settled on the idea of including, in some sections at least, only the most popular or best selling products. Our theory was that these products were items we knew people would buy so it made sense to make them easily available. While this idea has worked well, it still has left us with a list of products we could sell, but which aren’t generally available on our website. We can get special types and cuts of stabilzer. We have access to a wide variety of sublimation blanks. Our blank patch repertoire is far wider than what appears on our website. Some of these items may not be stock items, but we can order them and get them to you in a fairly small amount of time. If you’re searching for something and don’t see it on our website, please contact us. In many cases we will have a option that will meet your needs. We also are willing to send out samples of threads and backings or a sample blank patch so you can test them before you buy. All you have to do is ask. One of the questions I’ve been answering a lot lately is the question about where Iris Ultra Cotton Quilting Thread can be purchased. It’s kind of a complicated question as there’s more than one factor to be considered when answering. If you’re a retail store, or run a long arm quilting business with a tax i.d. number, you may purchase the Ultra Cotton Quilting Thread from us on our website. Anyone who is not connected to a retail store, or running a quilting business may not purchase from us directly. This keeps us from trespassing on our retail customers’ territories, and allows us to keep our agreements with the thread manufacturer. So, then, what do you do if you’re not a retail store or a quilting business with a tax i.d. and you still want to purchase the thread? Your best option at that point would be to go to a quilt store in your area that carries the thread and purchase it there. We are always expanding our quilt store customer base, and we’ll always be happy to let you know of any quilt stores in your area that carry Iris thread. If there is a quilt store in your area that carries Iris Ultra Cotton Quilting Thread, then your problem is solved. If not, you can help bring the thread to your location. 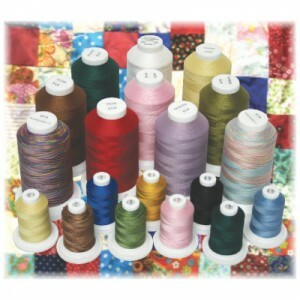 If you have a favorite local quilt store that you think should carry Iris Ultra Cotton Quilting Thread, let us know. Give us a call, leave us a message on the EnMart Facebook page, send us a Tweet, leave a comment on this blog post, or send us an e-mail. When you contact us, let us know who you are, and give us the store information, including location, telephone number, website and contact name. 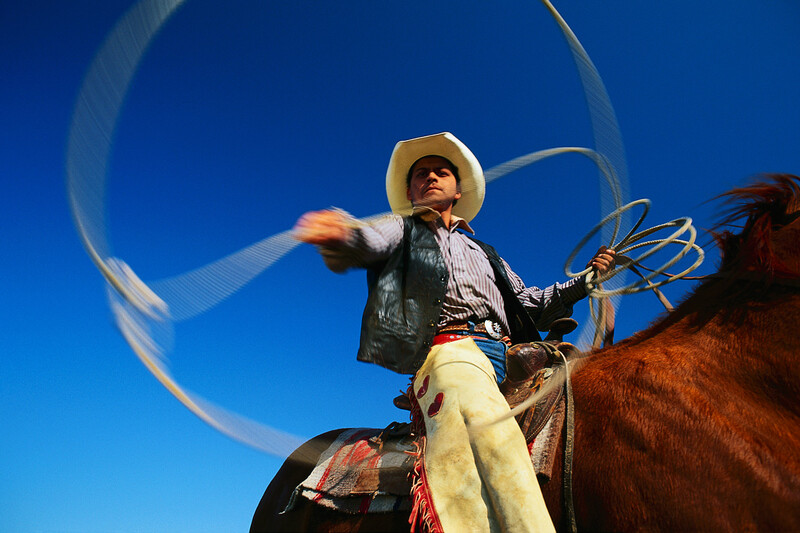 When we contact the store, we’ll let them know that you recommended they carry the thread. Once they’ve sampled the thread, we’re sure they’ll want to add it to their inventory, and you’ll have a ready source of Iris Ultra Cotton Quilting Thread nearby. Everyone wins! Wow, the first post of the New Year! I want to wish everyone a happy, prosperous and productive 2014! Here are some things, both some old favorites and some new items, that will hopefully help you achieve those goals. First up, we have 10 Tips to Increase your Productivity from Joyce Jagger. Joyce knows her stuff and these tips will help make you more productive as an embroiderer. I especially like the tips about maintenance. A well maintained machine is a productive one, and allotting time each morning and on Friday afternoons to make sure your machines are well maintained will pay off in increased productivity with less down time. Second on the list, we have a post from Fashion Incubator “One Way Or Another, It’s Going to Hurt“. I think I like this post because it’s on the same theme as a post I did for the DecQuorum blog about the downsides of working for yourself. Neither my post, nor this post, say that working for yourself and running your own business is a bad idea, both posts just point out the fact that there are costs to be paid if you’re an entrepreneur, just as there are if you work for someone else. I think we all need a reminder about this every once in a while. It’s easier to think the grass is always greener wherever you aren’t, and a bit of realism always helps. Third at bat, we have a replay of a post from Erich Campbell outlining some basic digitizing skills for non digitizers. Since I see requests on Facebook all the time for designs to be digitized or altered so they can be stitched out more smoothly, I thought this post was a good one to include. Every embroiderer is not, nor do all of them want to be digitizers, but knowing some basic skills can save you time and effort when you run into a problem design. Fourth on the docket is a post from Retail Minded about how to deal with upset customers. This task is something no one likes to do, but handling an upset customer the right way can help save a situation that might otherwise be unpleasant for you and your company. What I like about this post is the emphasis on listening to the customer. It isn’t enough to put a bandage on the situation, you have to know why the customer is angry and what they want before you can resolve the situation satisfactorily. Fifth in line is a post from John Morgan about why you should share your success and your knowledge. One of the things I like best about the decorating community is how willing most people are to share what they know and to help others. Hoarding your nuggets of knowledge doesn’t protect you from competition and it doesn’t keep your business safe. Sharing and forming relationships and helping others is the way to true success. This post illustrates that beautifully. Finally, we have a post from Peter Shankman about a simple thing that could totally capsize your whole marketing and promotional programs. We all like reviews, and people who sign up for our mailing lists and those who leave recommendations, but how often are we checking to make sure the mechanisms by which people can do those things work? It’s a small thing, but it could mean the difference between a great review and no review at all. If you want people to review you and help spread the word about your company on social media, make sure you’ve given them the tools to do so.